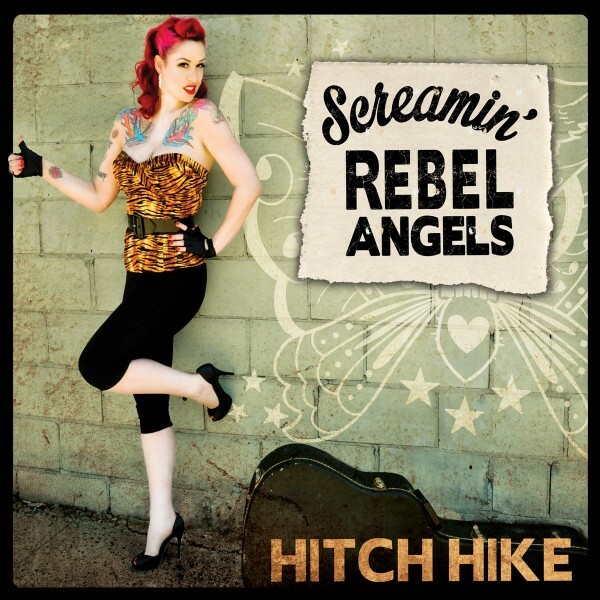 Produktinformationen "SCREAMIN' REBEL ANGELS - Hitch Hike CD"
“HITCH HIKE” is the debut full-length album from Brooklyn based band Screamin’ Rebel Angels, the female fronted combo whose raucous rock and roll revival captures the soul of rock, rockabilly, ‘50s rhythm and blues, country twang and even ‘60s Yé- Yé, with a raging sound all their own. HITCH HIKE is that rare album that harnesses a band’s live intensity, and in the case of Screamin’ Rebel Angels, this means an all-out soul-grabbing frenzy. From its opening rockabilly rager “Sizzle” to its no-holds-barred closer “Saved,” this dance-inducing, gut twisting album offers twelve tracks of unbridled excitement that reveals the strong song-writing talents and musicianship that has turned into the unique sound and fury of Screamin’ Rebel Angels. Weiterführende Links zu "SCREAMIN' REBEL ANGELS - Hitch Hike CD"